HDCleaner menawarkan toolkit komprehensif untuk pemeliharaan sistem di bawah Windows. Apakah kamu membersihkan hard disk atau registri, mengenkripsi data, memisahkan file, menghapus jejak penggunaan, mencadangkan registri, men-defragmen atau mencari dan mengganti kunci registri, nilai dan data dengan algoritma penelusuran super cepat, kamu akan selalu temukan alat yang tepat untuk mempercepat PC kamu dan mengoptimalkan. 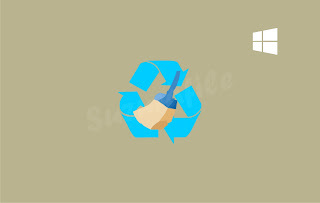 Download HDCleaner untuk PC kamu Sekarang! 1-Click Maintenance and Automatic Maintenance - can be with the "Auto Maintenance" and "1-Click Maintenance" multiple optimization steps run automatically, to ensure a tidy, reliable and fast operating system. Registry Cleaner - Cleans registry, eliminates errors and optimizes the performance of the computer. NOTE: The settings made are applied to the "1-Click Maintenance and Automatic Maintenance". Make room on your PC - Remove Unnecessary Files. Optimize services - Disabling unnecessary services lowers the background activities, win system resources and shoveling memory free, which can be used for other programs. Find Duplicate Files - In time duplicates of all kinds accumulate on the hard drive, which needlessly take up space and can down the entire system. DiskDoctor-lists and corrects errors on the disk. Defragment Registry- Analyze and optimize the registry database. DirToHTML - output contents of a selected directory as an HTML file. Backup & Restore - complete backup and restore the registry. DLL Cleaner-Frees the system from unnecessary and old DLL files. Hive backup backup and restore the registry. Browse registry - Browse the registry in turbo mode. Creating and Editing System Restore Points.